Gateway School of Business organised a motivational session for the students to provide them right guidance and direction by Mr. Sandeep Wadera.In the current scenario due to competition students face alot of pressure, due to which they are not able to give their best in any field of their life, keeping this thing in mind department organised this session. Just in the beginning of the session the motivator charged the students with full energy and attracted the attention of students towards him. It was a 90 minute session.Mr.Wadera told about 3P's- People, Persistence, Practice of excellence in any field of work, he explained each P with examples relating them with his life experiences. 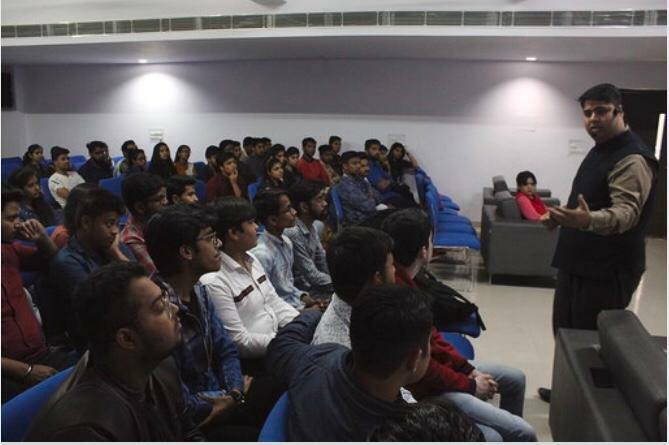 After the session Mr.Sandeep asked the students about the issues they face in their life and provided the guidence to deal with the problems in different situations calmly.The event filled the students with energy and "To Do Behaviour".